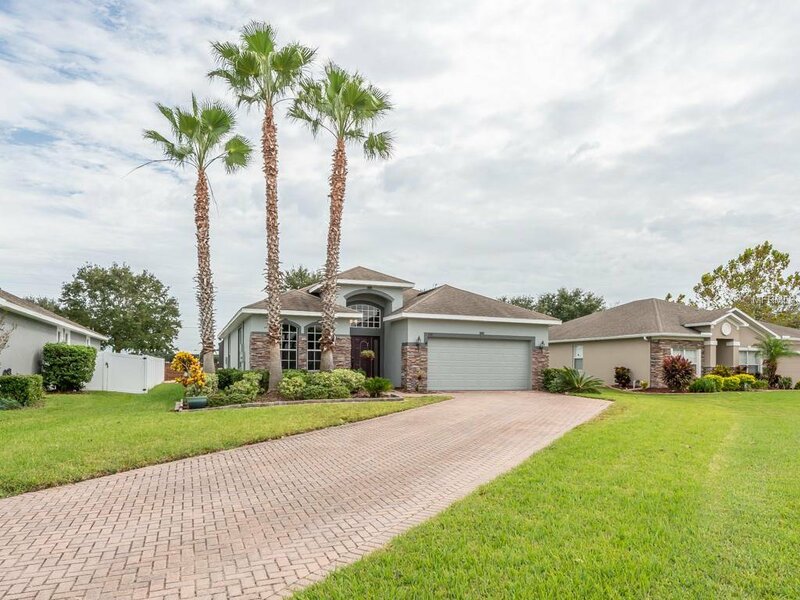 Expect to be amazed by this 4 bedroom, 2 bath in the Heart of Downtown Winter Garden!! Located in the sought after golf cart district, just minutes from historic Winter Garden! The popular WEST ORANGE TRAIL runs through the neighborhood offering direct access, no need to drive anywhere! Move in ready, IMMACULATELY maintained home. You are welcomed by a large, lush front yard and lovely paver driveway. The front room of the home can double as an office and formal living room. The open concept kitchen features an oversized island, plenty of counter space and 42” wood cabinets for ample storage! Sliding glass doors off of the family room lead you to a screened-in back patio with a generously sized in-ground pool that includes a 2-person sun shelf perfect for summer days. The master bedrooms en-suite features a garden tub, walk-in shower and his and her sinks. Numerous windows allow this home to be filled with natural light. Steps away from the community pool and playground, this home has it all! Schedule your showing today!! Listing courtesy of HOMEVEST REALTY. Selling Office: RE/MAX DOWNTOWN.